Last week, I happened to find on my computer, a file I downloaded in late January entitled, Medical Tourism and Group Health Plans by Marcia Wagner, an ERISA lawyer in Boston. I am not sure when exactly Ms. Wagner wrote this article, but I was intrigued to find out what she had to say about medical tourism and group health plans. Much of the first page of her article is basic information that is already known about medical tourism, and some of the data she presents may be debatable, but what I found on the second page was the most interesting part of her article. The article was written in the form of a question and answer format, so the question at the top of page two, “Are medical tourism benefits taxable to participants?”, was what I focused my attention on. According to Ms. Wagner, any amounts paid by a group health plan for the hospital stay and expenses associated with the medical procedure are not taxable to the employee. However, costs associated with transportation and lodging are unclear. Ms. Wagner states that costs associated with travel are treated as medical care, as are costs associated with lodging (provided there is not an element of personal pleasure, recreation or vacation). Ms. Wagner cites IRS Code Sections 105(b), 213(d)(1) and 213(d)(2) as proof of this. These sections can be found in the following two IRS documents: Publication 502 – Main Content and Topic 502 – Medical and Dental Expenses. If the group health plan pays these expenses, Ms. Wagner says, then the payments would not be taxable to the participant. This would go a long way to get employees on-board with medical tourism, yet there is a catch to this as we will soon learn. This assumes, she continues, that with respect to lodging, there is no element of personal pleasure, recreation or vacation. However, in order to be exempt from taxation, the lodging must be essential for medical care and the medical care must be provided by a physician who is licensed and providing services within the US. (Code Sections 213(d)(2) and 213(d)(4). 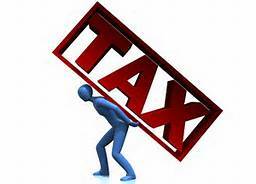 Therefore, Ms. Wagner states, the cost of most lodging in a foreign country would most likely be taxed to the employee. This is where some employers may decide it is too risky and too burdensome to bother with to save some money on expensive surgeries. In addition, if a doctor prescribes an operation or other medical care, and the taxpayer (i.e., employee) chooses for purely personal reasons [Emphasis added by Wagner]to travel to another locality for the operation or other medical care, Ms. Wagner writes, then medical care does not include the cost of transportation or lodging (unless as part of the hospital bill). It is Ms. Wagner’s opinion that any decision to travel to a foreign country for medical care would be considered by the IRS to be for purely personal reasons, especially if the participant receives a financial incentive. Here is where the catch comes in, as she states on the third page. Ms. Wagner goes on to state that costs for travel and lodging would be taxable to the participant; yet without any guidance, the taxability of transportation and hotel expenses related to medical tourism is unclear currently. Meals, however, are a different story, as they are taxable if they are not part of inpatient care. Finally, Ms. Wagner discusses the issue of prescription drugs. She says that the cost of a prescription drug is not taxable to the participant if it is a drug or biological which requires a prescription issued in the US by a physician licensed and performs the medical service in the US. Therefore, any prescriptions issued and filled in a foreign country would be taxable. Ms. Wagner’s article goes on to discuss other issues with medical tourism and group health plans, but it would seem that the IRS has made it somewhat clear, if not yet definitive, that medical tourism under group health plans are taxable to the employee who elects to take advantage of this option offered to them by their employer. How companies currently engaged with medical tourism abroad for their group health plans are dealing with this issue is not exactly clear, and I have not found or heard of any company not doing so because of these IRS rules. If there are anyone out there who does know how companies are dealing with this issue, it would be very informative to the rest of us. It would seem to this writer who is not a tax accountant, nor a tax lawyer, that until the medical tourism industry here in the US can figure out how to deal with this, they may find getting employers and their employees to choose medical tourism for health care will be difficult, if not impossible. Large employers may just pay the taxes themselves as a courtesy to their employees, but smaller employers may balk at doing so. And that is where medical tourism must look to attracting if it really wants to make an impact on health care in the US. This entry was posted in Group Health Plans, Health Care, Health Care Costs, Medical Tourism and tagged Employees, Employers, Group Health Plans, IRS, Medical Tourism, Taxes on February 24, 2014 by Transforming Workers' Comp.